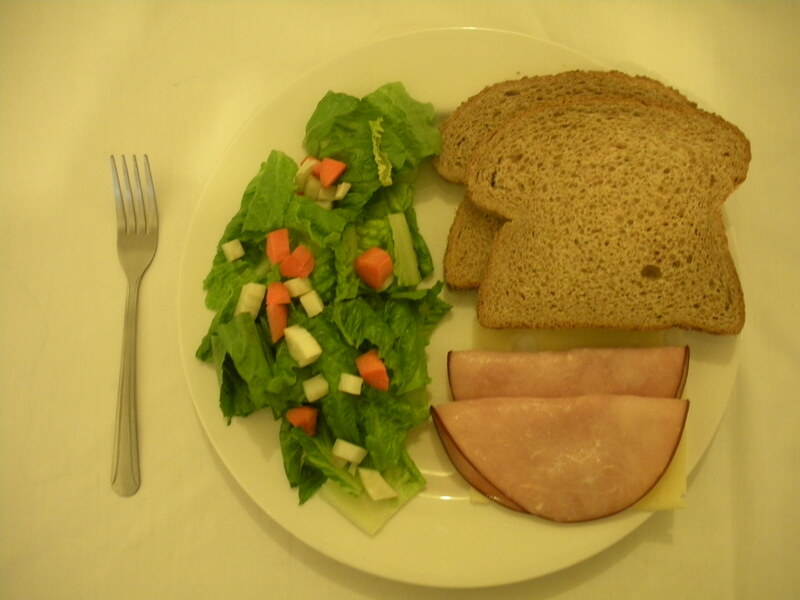 The Healthy Plate Model makes nutritious eating easy. Non-starchy vegetable examples include leafy green vegetables like lettuce and kale, tomatoes, carrots, cucumbers, summer squash like zucchini, peppers, and jicama. Starch (a.k.a. carbohydrate-rich) examples include whole grain bread and pasta, brown rice, potatoes, yams, winter squash like butternut, corn and peas. Protein examples include: meat, seafood, eggs, dairy, nuts, seeds, and legumes like beans, tofu, tempeh, edamame, and lentils. Fat is distributed throughout the three sections. For example, in salad dressing, cheese, avocado and/or olives on one’s salad, the oil in nuts, the butter used to sauté spinach, the germ in whole grains, and the fat in a burger patty.